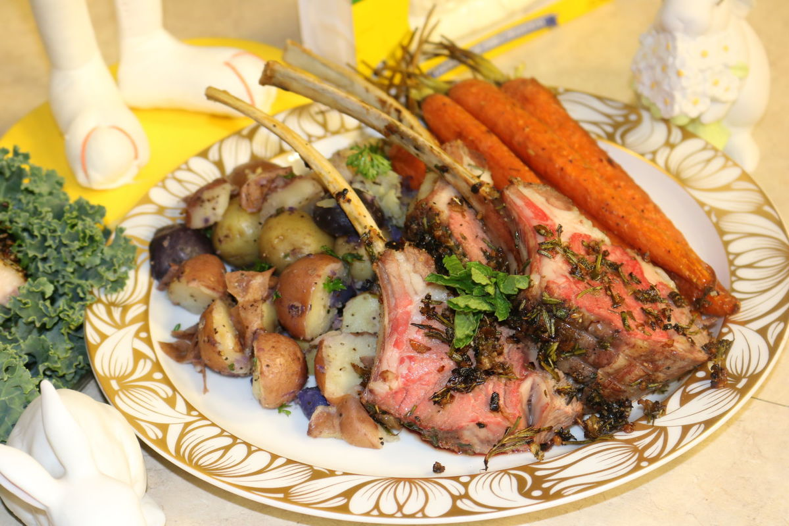 Make Easter dinner easy with our Herb-Crusted Rack of Lamb dinner. Our lamb is high choice to prime with beautiful marbling coming fresh, never frozen, from Colorado. The lamb is marinated for at least 24 hours with our homemade herb crust with fresh rosemary, sage, oregano, basil and thyme sautéed with minced garlic and onions. The dinner includes 2 lamb chops paired with broiled carrots and roasted rainbow potatoes. Give us a call at (941) 923-3004 and we will be more than happy to take your order.